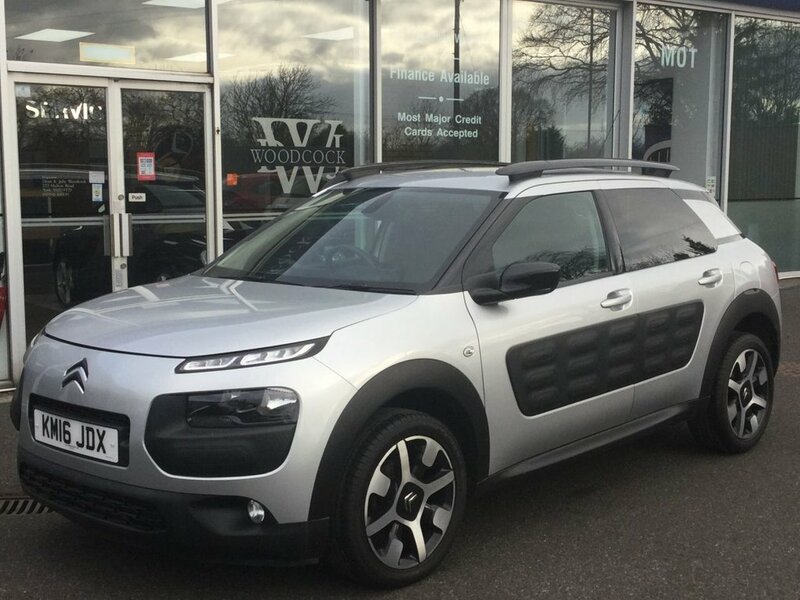 IMMACULATE CITROEN C4 CACTUS 1.6 FLAIR BLUE HDI 5 DOOR DIESEL HATCHBACK FINISHED IN PLATINUM SILVER METALLIC WITH CARBON BLACK TRIM. SUPPLIED WITH FULL SERVICE HISTORY. SERVICED @ 18760 MILES ON 29/05/2017, 24072 MILES ON 23/01/2018 AND 29639 MILES ON 18/10/2018. 2 KEYS. MOT'D UNTIL FEBRUARY 2020. THE SPECIFICATION INCLUDES, SATELLITE NAVIGATION, 7" TOUCHSCREEN MONITOR, REMOTE CENTRAL LOCKING, DAB RADIO, BLUETOOTH, FRONT FOGS, PRIVACY GLASS, MULTI FUNCTION STEERING WHEEL WITH CRUISE CONTROL, LED DAYTIME RUNNING LIGHTS, CENTRE ARM REST, ELECTRIC WINDOWS/MIRRORS, REVERSING CAMERA, REVERSE PARKING SENSORS, 17" DIAMOND CUT CROSS ALLOYS, AUTO LIGHTS/WIPERS. ANY TRIAL OR INSPECTION IS ALWAYS WELCOME TO APPRECIATE THE QUALITY ON OFFER. #### Established in York Over 30 Years #### Reserve this Car with a Small Deposit #### Please Note All Our Vehicles Are Supplied With A Clear HPI Report Free Of Charge.